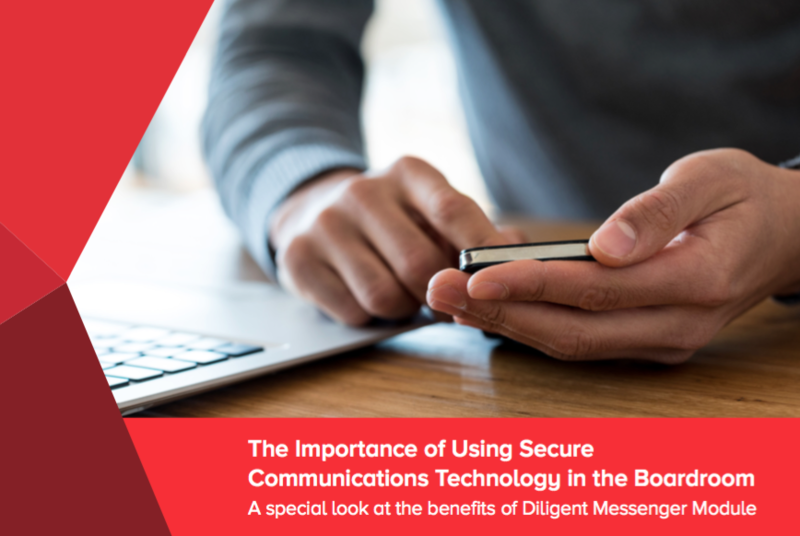 In a rapidly changing and demanding modern business world, it is necessary for board directors and administrators of organisations to employ secure communication practices. Corporate executives and board administrators that send confidential information to board directors’ personal email accounts are risking data breaches that could jeopardise the very foundation of their business. An industry leader in board portal technology, Diligent Corporation has created the most secure communications tool on the market to help mitigate cyber risk and allow boards to fulfill their responsibilities more effectively. Understand the top 10 ways that boards can improve meeting effectiveness within the digital ecosystem of modern governance technologies. Voting on resolutions is an essential component of boardroom meetings, which is why it is important to have an efficient and secure process for board voting. With the right features, a board can improve governance and efficiency while collaborating in a secure setting.